From the most refined Piedmontese tradition, intense and expressive wines, full of personality and character, from the most natural interweaving of old and new. 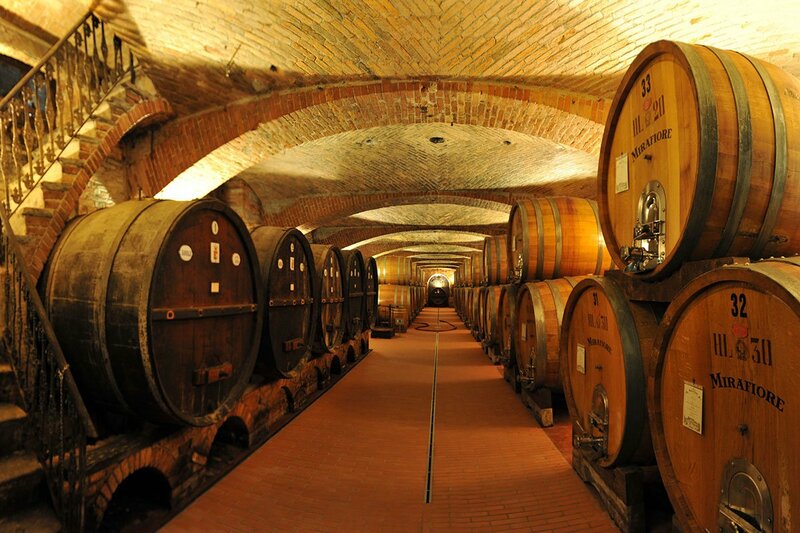 The respect of Piedmontese winemaking traditions dictates our style. We use indigenous yeasts selected from the grapes of our vineyards. Finally, long ageings and the use of large oak barrels and concrete tanks mirror the local winemaking traditions and promote the best conditions for ageing our wines. The grape varieties that represent us now, just as they did all those years ago, are Nebbiolo, Dolcetto and Barbera: this is why we decided to only vinify them. Quality is at home on this estate, thanks also to the ownership of two of the greatest crus in the whole Langa area: Lazzarito and Paiagallo. Accompanied by the best reds of the Langhe, standing out among the whites, is our Alta Langa Blanc de Noir.